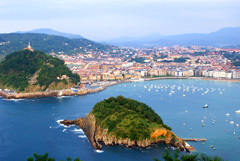 The Basque Country is one of Spain’s most distinctive regions. Tucked between the green Pyrenees and the rugged Atlantic coast, this is the homeland of the Basques, one of the oldest cultures in Europe and speakers of a language related to no other on Earth. These ancient roots have evolved into a thoroughly modern region whose renowned cuisine, world-class cultural attractions, sublime landscapes and the highest quality of life in Spain make it a solid choice for expats. This wealthiest region of Spain is also one of the smallest. The Basque Country’s three provinces – Vizcaya, Guipúzcoa and Álaba – center around a principal city (Bilbao, Donostia-San Sebastián and Vitoria-Gasteiz, respectively). Together the provinces form the easternmost stretch of Spain’s Atlantic coast and act as a cultural buffer between France and the Spanish heartland to the south. The Basques have a mysterious origin. Their footprints can be traced to pre-Roman times, when invading generals encountered a feisty tribe speaking a strange language and fiercely clinging to the marginal lands in the foothills of the Pyrenees. The Romans offered the Basques self-rule and moved on to conquer the entire Iberian peninsula, leaving the Basques as the only non-Romanized peoples in western Europe. Girded by inaccessible mountains and left to govern itself, the Basque Country remained isolated for centuries. Yet the people of the region never developed into a nation of their own. After the reconquista they were gradually absorbed into the Kingdom of Spain. They became the sailors and shipbuilders of the growing empire and later created the factories and banks that form the backbone of the modern Spanish economy. Despite centuries of shared history with Spain, many Basques still fondly remember their days of self-rule and continue to push for greater autonomy from Madrid, even full independence. 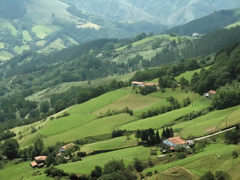 Many of the Basque Country’s cultural differences spring directly from the region’s geography. In contrast to the flat, arid plains of central Spain, the verdant hills of the Basque Country erupt from the peninsula to form a natural boundary with the rest of the country. Though the landlocked province of Áraba has a dry, Mediterranean climate suitable for winemaking, Guipúzcoa and Vizkaya are wet, mountainous provinces with a strong seafaring and whaling culture. These two regions form the Basque Coast, a rugged stretch of isolated beaches, dense forests and towering palisades punctuated by medieval fishing ports. Almost half of the region’s 2.1 million inhabitants live within the greater Bilbao area, the financial and industrial capital of the region. Historically a center of shipping and industry, Bilbao underwent a radical transformation a decade ago when the construction of the famous Guggenheim Museum spurred a citywide wave of redevelopment. Many expats prefer the laid-back style of Donostia-San Sebastián, a gorgeous beachside resort that feels more like a big town than a city. A quieter option is Vitoria-Gasteiz, the political capital of the Basque Country. This medieval town has been consistently ranked the most livable city in Spain for its high quality of life and abundance of green space. At the heart of Basque identity is the language, Euskara. Despite being unrelated to any other language and notoriously difficult to learn, this ancient language has survived through the centuries remarkably intact. Spanish still predominates, but Euskara is currently undergoing a revival and is spoken by a growing percentage of young people. The most enjoyable Basque tradition is inarguably the region’s cuisine. Basques are widely recognized as the best cooks in Spain and the region has the most Michelin stars per capita in the world. Modern Basque cuisine is a re-imagination of traditional recipes, many of which are centered on fresh seafood and locally produced crops. Bacalao (codfish) is a staple of the coastal diet, as are monkfish, hake, river eels, goose barnacles and tuna. Hearty stews, bean dishes and T-bone steaks abound in the inland villages. The most accessible aspect of Basque cuisine is the pintxo, a larger, more sophisticated version of the tapa. Narrow bars are lined with dozens of different pintxos, and customers are given plates and expected to count how many they’ve eaten. Classics include anchovy- and codfish-based nibbles, while more daring chefs offer complex, elaborate dishes that border on edible artwork. Going out for pintxos is a cornerstone of Basque social life and locals gather multiple nights per week for a few pintxos and a glass of local beer, wine or cider. Wintertime is cider season. In January the sagardotegis open. At these traditional cider houses in the countryside, customers can sample the year’s cider and enjoy a five-course meal. Apart from cider, the southern region of La Rioja Alavesa produces some excellent red wines and the coastal areas grow a unique sparkling white called txakoli, the perfect accompaniment for summer seafood meals. Those contemplating a move to the Basque Country should start by reading up on Basque history. The most informative (if not impartial) book on the Basques is Mark Kurlanski’s The Basque History of the World. It will unlock many mysteries and provide plenty of fodder for conversation. Equally important is understanding the current political situation. Negotiations between Madrid and the armed separatist group ETA are in constant flux, and being informed is crucial. Newcomers should be careful when broaching the subject of Basque independence in public, for it sparks divergent opinions and can turn explosive in an instant. Learning a few words of Euskara will go a long way. Euskara is an immense source of pride for Basques and almost everyone uses the basic greetings. Kaixo (hello), agur (goodbye), and eskerrik asko (thank you) are indispensable, and if you plan a long-term stay you might consider taking courses in Euskara. Spanish is spoken here, though, and language students should not be deterred. Also note that many towns have bilingual names, such as San Sebastián (Donostia in Basque). 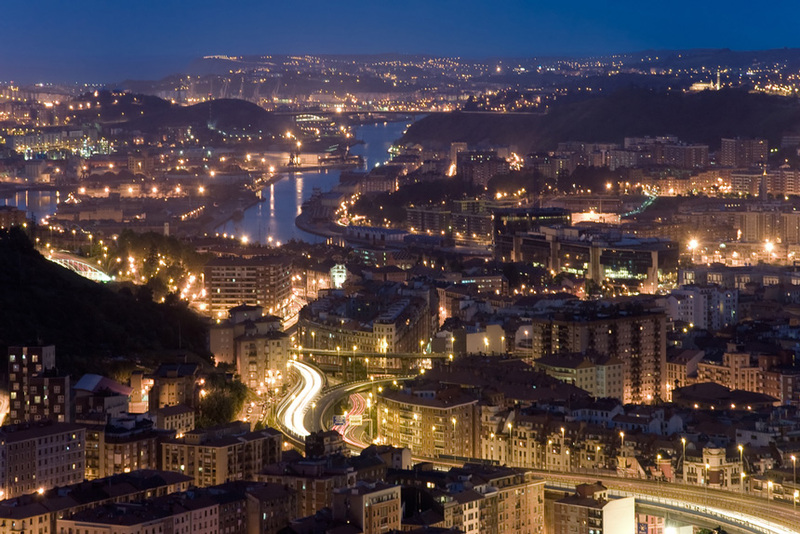 Delving into Basque culture can help you overcome the linguistic barrier. Public activities abound, from traditional music festivals to rural sports competitions to gastronomical fairs and local fiestas – so many, in fact, that the challenge lies in keeping up with them. Check out El Diario Vasco for listings in Spanish. 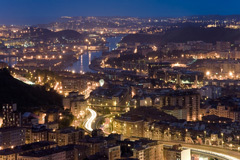 San Sebastián was just named the 2016 European Capital of Culture by the European Union, and Bilbao is not far behind. From Bilbao’s famous Guggenheim Museum to San Sebastián’s world-class film festival, there’s plenty to do after work. The one large drawback is finding decently priced accommodations. Rent in San Sebastian is comparable to Madrid or Barcelona, especially in summer when costs triple. 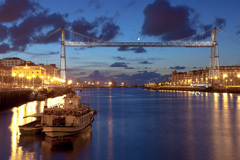 Bilbao has a wider range of places to live and Vitoria is generally more affordable than both. The best place to search for apartments is through Alkila.net. You should expect to pay at least 200€ per month for a room, 300€ in San Sebastián. Winters are cold, and heating can cost up to 100€ per month, per person. Luckily for expats, the Basque Country has the strongest economy in Spain, even during the current recession. However the job market is not as informal as in other parts of Spain, and employers often require proper documentation from foreign workers. 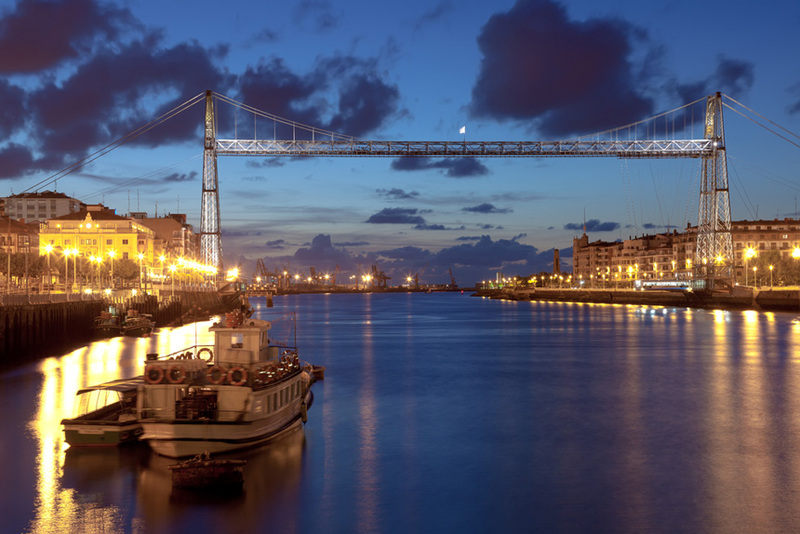 Bilbao is the best place to find professional jobs, as it is the financial and industrial capital of the north. Many of Spain’s largest and most profitable companies are based here and opportunities also exist at multi-national corporations. San Sebastián is better for opportunities in the tourism industry, especially from April to September when hostels, restaurants and bars are looking for English speakers. Many of these jobs are paid under the table and can be found upon arrival in the beginning of the season. Teaching English is one of the easiest jobs to land. The region’s frontier position makes Basques natural language learners, and many are eager to improve their English. Private academies are always in need of qualified teachers, and it’s also easy to drum up a brisk business of conversation classes with a few well-placed flyers. Life in the Basque Country is good. The region has the highest quality of life in all of Spain, wages are high, public services are adequate and residents enjoy an affluent lifestyle where going out for round of pintxos is a weekly, if not daily, tradition. Eating and drinking well is a favorite Basque pastime, one enjoyed with much gusto. While bars and restaurants are open to the public, local men gather in private gastronomical societies called txokos. Being invited into a society is a rare and honored occasion; if you are so lucky, be sure to accept. Unfortunately, the best aspects of the Basque Country can be overshadowed by its stigma as a terrorist haven, an image formed during the bloody years in the 1980s when ETA carried out a brutal series of assassinations and bombings across Spain. Many Spaniards still view the region as dangerous, though ETA’s violent days seem to have passed and the region has one of the lowest crime rates in all of Europe. Many foreigners fall in love with the Basque Country. Be aware, though, that becoming fully integrated into society is a process that takes a lot of time, even years. Those wanting to settle permanently should do all they can to immerse themselves in the culture, language and social life – then wait patiently. It takes a while to break into Basque culture, but for many it’s a prize well worth the wait.